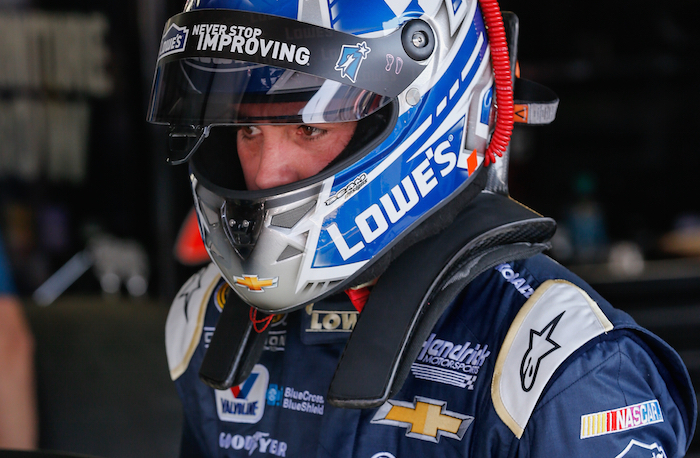 Jimmie Johnson is hoping that more drivers will hop between top-tier race series going forward as it can bring exposure to both drivers and the series. Two-time Formula 1 champion Fernando Alonso has brought more attention to the idea of drivers jumping series after he contested the 2017 Indy 500 and 2018 24 Hours of Le Mans in his quest to win the ‘Triple Crown’ of motorsports. Alonso, who has now taken a step back from Formula 1, also raced the 2018 and 2019 24 Hours of Daytona and has expressed his desire to race in other series and events as well. “And in the last 20 or 30 years, we’ve focused more on championships than we have marque events,” he added. “And I completely understand why, but it’s really nice to see people trying to move around and race other things. Johnson did a ‘seat swap’ with Alonso last year, with Johnson wielding a 2013-spec McLaren F1 car and Alonso hopping behind the wheel of Johnson’s No. 48 Chevrolet Camaro ZL1. Alonso has not yet said if he would be interested in contesting any NASCAR events, but with the Spaniard more closely aligning himself with Chevrolet’s racing operations in recent months, it wouldn’t be too hard for him to line something up. Johnson said he’d like to see a driver do the Memorial Day Double again, which entails competing in the Indy 500 and the Coca Cola 600 at Charlotte on the same day. The first driver to do the so-called ‘Double’ was John Andretti, but Tony Stewart’s attempt was the most successful, with ‘Smoke’ finishing sixth at Indy and third at Charlotte, completing all 1,100 race miles in the process. Bring back the “Memorial Day Double”! The Double is really crazy for a one day endeavor. One of the Series should move their Race to different day on Memorial Day Wknd. It would help both Series to have drivers compete in both Races. I believe the Indy 500 was on Memorial Day years ago? I am a JJ fan but he doesn’t even run NASCAR lower Series on same weekend. I doubt we will EVER see again the likes of those like AJ Foyt and Mario Andretti who were successful in multiple series. Mario won or was champion in Indy Car, NASCAR, F1 and sprint cars. Just don’t know how many NASCAR Monster Cup Series drivers can slip into a F1 car and actually survive as there aren’t many that can match F1’s top tier drivers like Lewis Hamilton. How about making the IROC races a big deal series, one long race at each of our best tracks in each region of the country with reasonably priced spec cars, COTA, Mid Ohio, Portland, Watkins Glen, laguna Seca, Daytona, etc. and bring in all the world’s big talents together. Damn, sure sounds like fun – I am having flash backs of the old Trans Am days. I think you would see many of the retired greats wanting a piece of that action. How about “Memorial Day Madness”. One track, two races, Indianapolis Motor Speedway. 500 miles in Indy cars, 500 miles in Nascar cars, winner by total points accumulated. Alternating each year which cars are run first. I might start to watch again.